Review requirements outlined here in a post intended to assist practitioners in knowing and understanding the specific relevant requirements of the LRA, the LC Rules and the LC Practice Manual. In addition templates are included for Forms 1 and 4. Hopefully at some stage it will be possible to include some commentary but at this stage only the actual provisions are recorded below. (a) within six weeks of the date that the award was served on the applicant, unless the alleged defect involves the commission of an offence referred to in Part 1 to 4, or section 17, 20 or 21 (in so far as it relates to the aforementioned offences) of Chapter 2 of the Prevention and Combating of Corrupt Activities Act, 2004; or . . . . .
(b) that an award has been improperly obtained. (3) The Labour Court may stay the enforcement of the award pending its decision. (b) make any order it considers appropriate about the procedures to be followed to determine the dispute. (5) Subject to the rules of the Labour Court, a party who brings an application under subsection (1) must apply for a date for the matter to be heard within six months of delivery of the application, and the Labour Court may, on good cause shown, condone a late application for a date for the matter to be heard. (6) Judgment in an application brought under subsection (1) must be handed down as soon as reasonably possible. (7) The institution of review proceedings does not suspend the operation of an arbitration award, unless the applicant furnishes security to the satisfaction of the Court in accordance with subsection (8). (b) in the case of an order of compensation, be equivalent to the amount of compensation awarded. (9) An application to set aside an arbitration award in terms of this section interrupts the running of prescription in terms of the Prescription Act, 1969 (Act No. 68 of 1969), in respect of that award. (10) Subsections (5) to (8) apply to an application brought after the date of commencement of the Labour Relations Amendment Act, 2014 and subsection (9) applies to an arbitration award issued after such commencement date. (j) deal with all matters necessary or incidental to performing its functions in terms of this Act or any other law. (1B) The Labour Court may not review any decision or ruling made during conciliation or arbitration proceedings conducted under the auspices of the Commission or any bargaining council in terms of the provisions of this Act before the issue in dispute has been finally determined by the Commission or the bargaining council, as the case may be, except if the Labour Court is of the opinion that it is just and equitable to review the decision or ruling made before the issue in dispute has been finally determined. “serve” means to serve in accordance with rule 4(1), and “service” has a corresponding meaning. (1) Any party initiating any proceedings must apply for a case number before serving any documents. The application for a case number must be made to the registrar in the registrar’s office or by fax. If the application is made by fax, Form 1 must be used [see template below]. (2) The registrar must assign consecutive case numbers to all documents that initiate proceedings. Proceedings initiated at any of the branch offices must be assigned the consecutive case numbers of that office. (3) The registrar must ensure that every document subsequently filed in respect of the same proceedings is marked with the same case number. (4) The registrar can refuse to accept a document from any party if the document is not properly marked with the case number assigned by the registrar. (5) The registrar may request a party to correct any patent defect or error in any document that is filed. (6) If a party refuses to correct any document after a request by the registrar in terms of sub rule (5), the registrar must send the document to a judge in chambers for a direction. (7) The registrar must keep the court’s records and must not allow them to leave the court building without prior authorisation by the registrar. (1) An application must be brought on notice to all persons who have an interest in the application. ( f ) a schedule listing the documents that are material and relevant to the application. (a) A notice of opposition and an answering affidavit may be delivered by any party opposing the application. (b) A notice of opposition and an answering affidavit must be delivered within 10 days from the day on which the application is served on the party opposing the application. (c) A notice of opposition and an answering affidavit must respectively contain, with the changes required by the context, the same information required by sub rules (2) and (3). (a) The party initiating the proceedings may deliver a replying affidavit within 5 days from the day on which any notice of opposition and answering affidavit are delivered. (b) The replying affidavit must address only those issues raised in the answering affidavit and may not introduce new issues of fact or of law. (a) The registrar must allocate a date for the hearing of the application once a replying affidavit is delivered, or once the time limit for delivering a replying affidavit has lapsed, whichever occurs first. (b) The registrar must notify the parties of the date, time and place for the hearing of the application but need not notify a respondent who has not delivered an answering affidavit in support of its opposition of the application. (6A) An application to make a settlement agreement or arbitration award an order of court which is unopposed must be enrolled by the registrar on notice to the applicant. The Court may make any competent order in the absence of the parties. (c) an order as to costs. (1) A party desiring to review a decision or proceedings of a body or person performing a reviewable function justifiable by the court must deliver a notice of motion to the person or body and to all other affected parties. (c) be supported by an affidavit setting out the factual and legal grounds upon which the applicant relies to have the decision or proceedings corrected or set aside. (3) The person or body upon whom a notice of motion in terms of sub rule (2) is served must timeously comply with the direction in the notice of motion. (4) If the person or body fails to comply with the direction or fails to apply for an extension of time to do so, any interested party may apply, on notice, for an order compelling compliance with the direction. (5) The registrar must make available to the applicant the record which is received on such terms as the registrar thinks appropriate to ensure its safety. The applicant must make copies of such portions of the record as may be necessary for the purposes of the review and certify each copy as true and correct. (6) The applicant must furnish the registrar and each of the other parties with a copy of the record or portion of the record, as the case may be, and a copy of the reasons filed by the person or body. (7) The costs of transcription of the record, copying and delivery of the record and reasons, if any, must be paid by the applicant and then become costs in the cause. (b) deliver a notice that the applicant stands by its notice of motion. (9) Any person wishing to oppose the granting of the order prayed in the notice of motion must, within 10 days after receipt of the notice of amendment or notice that the applicant stands by its notice of motion, deliver an affidavit in answer to the allegations made by the applicant. (10) The applicant may file a replying affidavit within 5 days after receipt of an answering affidavit. (c) any other applications for directions that may be sought from the court. (2) The requirement in subrule (1) that affidavits must be filed does not apply to applications that deal only with procedural aspects. (3) If a situation for which these rules do not provide arises in proceedings or contemplated proceedings, the court may adopt any procedure that it deems appropriate in the circumstances. (4) In the exercise of its powers and in the performance of its functions, or in any incidental matter, the court may act in a manner that it considers expedient in the circumstances to achieve the objects of the Act. (1) The court may at any time call on the parties to deliver concise heads of argument on the main points that they intend to argue. (e) in its first reference to a reported case must contain the full name of the case, the year, volume, commencement page, division of the court, and page and margin reference to which specific reference is made (for example: National Union of Hotel Workers Smith (Pty) Ltd 1990 1 SA 127 (A) 130 (D); Jones v Clark (Pty) Ltd a.o. (1990) 15 ILJ 1010 (LAC) 1031D). (c) if a fax number and telephone number are available, those numbers. (2) Any party who terminates a representative’s authority to act and then acts in person or appoints another representative, must give notice to the registrar and all other parties concerned of that termination, and of the appointment of any other representative, and include the representative’s particulars, as referred to in sub rule (1). (3) On receipt of a notice in terms of sub rule (1) or (2), the address of the representative or the party, as the case may be, will become the address for notices to and for service on that party of all documents in the proceedings, but any notice duly sent or any service duly effected elsewhere before receipt of that notice will, notwithstanding that change, for all purposes be valid, unless the court orders otherwise. (a) A representative in any proceedings who ceases to act for a party must deliver a notice to that effect to that party and all other parties concerned. (b) A notice delivered in terms of paragraph (a) must state the names and addresses of the parties that are notified. (c) After receipt of a notice referred to in paragraph (a), the address of the party formerly represented becomes the address for notices to and for service on that party of all documents in the proceedings, unless a new address is furnished for that purpose. This directive comes into effect from 2 April 2013. “Day‟ means a day other than a Saturday, Sunday or public holiday, and when any particular number of days is prescribed for the doing of any act, the number of days must be calculated by excluding the first day and including the last day. “Representative‟ means the person appearing in court on behalf of a party, and includes a legal practitioner as defined in the Labour Relations Act, 66 of 1995, and any other person who has the right to appear in the Labour Court by virtue of the provisions of s 161 of the Act. A failure to comply with the directives contained in this manual will be viewed in a serious light and will be addressed by an appropriate sanction which may include an order for costs de bonis propriis against the representative who failed to comply. with margins of at least 2 cm on all sides of the page. prepare and attach an index to the pleadings bundle, the notices bundle and any pre-amendment pleadings bundle and the pre-trial bundle respectively. The index must briefly describe each pleading or notice as a separate item. File a practice note as provided in paragraph 10.7 below. 10.5.2 In binding the pleadings and notices, care must be taken to ensure that the method of binding does not hinder the turning of pages. 10.5.3 The pleadings and notices must be bound in volumes of not more than 120 pages, unless the papers are collated and bound in a lever arch file. 10.5.4 The pleadings bundle must only contain the original pleadings (as amended, if applicable). If the original pleadings are lost or misplaced copies may be filed; in this event the documents must be clearly marked as copies. 10.5.5 If a document or documents attached to the pleadings or contained in the bundles as referred to above is not readily legible, the referring party must ensure that legible typed copies of the document or documents are provided. 10.5.6 Should the referring party not have complied with these provisions this shall not be a basis for any other party seeking postponement of the matter, and the presiding judge, on the day on which the matter is heard, may make any order the judge deems appropriate which may include any order as to costs, including depriving the referring party of any costs in the matter or any order of costs de bonis propriis. 10.6.1 If a party or the parties to a trial intend utilising documents in the trial, the documents must be collated chronologically, numbered consecutively and suitably bound. 10.6.2 Each bundle must be indexed. The index must briefly describe each document in the bundle as a separate item. 10.6.3 The documents should be bound in volumes of not more than 120 pages, unless the papers are collated and bound in a lever arch file. 10.6.4 The parties must agree prior to the commencement of the trial upon the evidential status of the documents contained in the bundle. This agreement must be contained in the pre-trial minute. 10.6.5 The presiding judge may at any time during a trial direct that the bundle of documents be reconstituted. 10.6.6 If unnecessary documents are included in the bundle, the court may on the application of any party to the trial or mero motu make a punitive cost order. 10.7.1 The representative of the referring party must send a practice note by facsimile transmission or email in respect of the trial enrolled for hearing, marked for the attention of the Judge President (email address Labourcourts@justice.gov.za; fax no 011 403 2825). 10.7.2 The practice note must be filed not later than 12h00 at least five court days before the date on which the trial is enrolled for hearing. • any issue or consideration that would interfere with the immediate commencement and the continuous running of the trial to its conclusion, including the preparation of bundles and the indexing and pagination of the papers. 10.7.4 If the above information is not provided timeously, the referring party runs the risk of the matter not being allocated a judge or the matter being postponed with an order for costs de bonis propriis against the representative of the referring party. 10.7.5 Once a matter has been set down for hearing, it may be removed from the trial roll only with the consent of the Judge President or in the case of matters subject to case management, the appointed judge. 11.2.1 Once the registrar has notified an applicant in terms of Rule 7A(5) that a record has been received and may be uplifted, the applicant must collect the record within seven days. 11.2.2 For the purposes of Rule 7A(6), records must be filed within 60 days of the date on which the applicant is advised by the registrar that the record has been received. 11.2.3 If the applicant fails to file a record within the prescribed period, the applicant will be deemed to have withdrawn the application, unless the applicant has during that period requested the respondent’s consent for an extension of time and consent has been given. If consent is refused, the applicant may, on notice of motion supported by affidavit, apply to the Judge President in chambers for an extension of time. The application must be accompanied by proof of service on all other parties and answering and replying affidavits may be filed within the time limits prescribed by Rule 7. The Judge President will then allocate the file to a judge for a ruling, to be made in chambers, on any extension of time that the respondent should be afforded to file the record. 11.2.4 If the record of the proceedings under review has been lost, or if the recording of the proceedings is of such poor quality to the extent that the tapes are inaudible, the applicant may approach the Judge President for a direction on the further conduct of the review application. The Judge President will allocate the file to a judge for a direction, which may include the remission of the matter to the person or body whose award or ruling is under review, or where practicable, a direction to the effect that the relevant parts of the record be reconstructed. 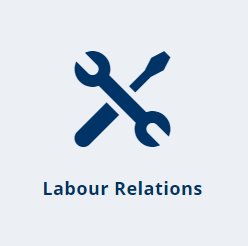 11.2.5 Applications under sections 145 and 158(1)(g) of the Labour Relations Act should not ordinarily be brought in respect of proceedings that are incomplete. 11.2.6 Parties are reminded that Rule 7A(5) requires an applicant in a review application to copy and deliver only those portions of a record that are necessary for the purposes of the review. The filing of unnecessary portions of a record is a factor that may be taken into account for the purposes of any order of costs. 11.2.7 A review application is by its nature an urgent application. An applicant in a review application is therefore required to ensure that all the necessary papers in the application are filed within twelve (12) months of the date of the launch of the application (excluding Heads of Arguments) and the registrar is informed in writing that the application is ready for allocation for hearing. Where this time limit is not complied with, the application will be archived and be regarded as lapsed unless good cause is shown why the application should not to be archived or be removed from the archive. • the third section the record of the proceedings. The principles applicable to the indexing and pagination of application proceedings as determined in this practice manual shall equally apply to each section. 11.4.1 If the respondent has delivered a notice of intention to oppose but fails to deliver an answering affidavit within the prescribed time limit, the registrar must at the request of the applicant, enrol the application on the opposed motion roll and serve a notice of set down to all parties. 11.4.2 Where the respondent or the applicant has filed its opposing or replying affidavits outside the time period set out in the rules, there is no need to apply for condonation for the late filling of such affidavits unless the party upon whom the affidavits are served files and serves a Notice of Objection to the late filing of the affidavits. The Notice of Objection must be served and filed within 10 days of the receipt of the affidavits after which time the right to object shall lapse. 11.5.1 Neither the indexing nor pagination of the file or the filing of heads of argument is a pre-condition to any application being set down for hearing, but prior to the hearing of any application (including unopposed applications if the application consists of an excess of 50 pages), the applicant must deliver a complete index of all documentation before the court for the determination of the application. 11.5.2 The index should briefly describe each affidavit and annexure as a separate item. 11.5.3 Prior to the hearing of any application, the applicant must ensure that all the documentation before the court is properly bound. 11.5.4 In binding the documents, care must be taken to preclude that the method of binding hinders the turning of pages. 11.5.5 The documentation should not be bound in volumes of more than 120 pages, unless the papers are collated and presented in a lever arch file. 11.5.6 The applicant must paginate the notice of motion, founding affidavit and annexures thereto prior to serving the documents on the other party. After receiving the answering affidavit, the applicant must paginate same together with the reply that it has file prior to serving its reply. 11.5.8 Notwithstanding the above, the applicant must ensure that prior to the hearing of the application, the file is properly paginated. 11.5.9 Should the applicant not have complied with these provisions this shall not be a basis for any other party seeking postponement of the matter, and the presiding judge, on the day on which the matter is heard, may make any order the judge deems appropriate as to the conduct of the matter, which may include any order as to costs, including depriving the applicant of any costs in the matter or any order of costs de bonis propriis. 11.6.1 In unopposed motions, at the applicant’s request, the registrar will set down an unopposed motion on an unopposed motion roll to be heard by the judge presiding in motion court. The filing of heads of argument is not a precondition for the setting down of a matter, and heads need not be filed unless the judge hearing the application directs that heads should be filed. 11.6.2 In opposed motions, unless otherwise stated in the notice of set-down, the applicant must deliver heads of argument at least 15 days prior to the hearing of an opposed application. The heads of argument must be clear, succinct and without unnecessary elaboration. 11.6.3 Each point should be numbered and be stated as concisely as the nature of the case allows and must be followed by a reference to the record or an authority in support of the point, without any lengthy quotations from the record or authorities. 11.6.4 Unless otherwise stated in the notice of set-down, at least seven days prior to the hearing of an opposed application, the respondent(s) must deliver heads of argument. If the applicant has failed to file heads of argument, the respondent must in any event file its heads within the above time limit. Failure to file heads may not lead to the matter not being heard by the Court. 11.6.5 In cases where a party for whatever reason fails, neglects or refuses to file heads timeously, the court may make a punitive costs order against the defaulting party and may in certain circumstances strike the matter from the roll. 11.6.6 Where a party is able to do so, heads of argument should in addition to being delivered in terms of the Rules, be sent by email to the following address: LabourCourts@justice.gov.za. The heads must indicate, above the heading of the matter, the date on which the matter has been set down to be heard, if it is so set down. 11.6.7 A judge hearing an opposed application may at any time direct that all or any of the parties file supplementary heads of argument. 11.6.8 The failure by one party to file heads of argument shall not be a basis upon which the other litigating party would be entitled to the postponement of the hearing, and is shall remain up to the presiding judge to determine how the matter shall be conducted in such event. 11.8.1 The representative for the referring party must send a practice note by facsimile transmission or email in respect of the application enrolled for hearing, marked for the attention of the Judge President (email address Labourcourts@justice.gov.za; fax no 011 403 2825). 11.8.2 The practice note must be filed not later than 12h00 at least five court days before the date on which the application is enrolled for hearing. • Whether the matter will proceed on the hearing date and if not, the reason for this. 11.8.4 In the absence of a practice note from the applicant, a motion to be heard on the opposed roll will not be dealt with other than for removal from the roll, save in the event of the applicant’s representative advancing considerations which are sufficient to persuade the presiding judge to hear the application. In the absence of the applicant, the respondent may file the practice note and may do so at least three days before the hearing of the matter and seek a punitive costs order de bonis propriis against the applicant’s attorneys. 11.8.5 A practice note must be deposited as set out above on each occasion the motion appears on the opposed roll. 14.1.1 Service is proved by filing in the court file the original return of service which establishes the service. In the absence of an acceptable explanation, returns of service will generally not be accepted from the Bar. 14.1.2 Where service is effected at a domicilium citandi et executandi, the original document (or a copy with an affidavit explaining the absence of the original) wherein the domicilium is chosen must be placed in the court file. 14.1.3 In applications for committal or some other penalty for contempt of court, personal service of the application must be effected on the respondent. • indicates, if necessary, that the item in question has not been returned to the sender by the Post Office as being undelivered; and annexes the documentary proof of posting of a registered article issued by the Post Office. 14.1.5 When a party serves any document by fax in terms of Rule 4, the deponent to any affidavit filed in terms of Rule 4(2)(b) must, in addition to providing proof of the correct fax number and confirmation that the whole of the transmission was completed, state under oath that the party to whom the fax was addressed telephonically confirmed receipt of the whole of the fax transmission and the name of the person who confirmed receipt of the transmission. I certify that no previous application for a case number for the same parties in the same dispute has been made. I undertake to advise the Registrar in writing if proceedings are not initiated within 30 days or if the matter is settled. · appoints *** as applicant’s representative in this matter. · will use the affidavit of *** in support of the application.